MAX the country's largest fashion forward brand has partnered with the world renowned and prestigious modeling contest, Elite Model Look 2014 (EML) which marks its debut in India this year. The contest completed its Regional Casting rounds in 5 key cities. These are Chandigarh, Delhi, Mumbai, Bangalore and Kolkata. All the shortlisted models from these 5 cities walked the ramp for the "National Casting"on 21st Sep.2014 at Hotel Sofitel, Mumbai. Prominent personalities present included Marc Robinson, designer Gaviin Miguel and model Dipti Gujral. National Casting finalists are enlightened in the "National Preparatory Week" with industry gurus like Marc Robinson, guiding and mentoring the aspirants to prepare for the grand finale which is scheduled to take place in October. The winners of October Grand Finale will then go on to represent India at the international finale in China and secure a 3 year contract with the Elite agency. This contest offered thousands of boys and girls across India, the opportunity to realize their dream and follow in the footsteps of top models such as Cindy Crawford, Stephanie Seymour, Gisele Bundchen, Sigrid Argen and Constance Jablonski. 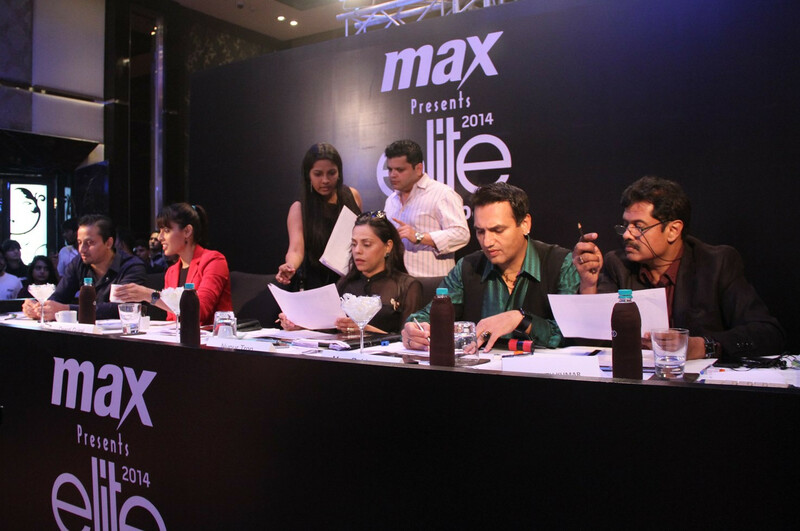 Judged by prominent personalities from the fashion industry and Executive Director of Max, Vasanth Kumar, participants were shortlisted based on criterion like their ramp walk, first impression and photogenic appeal. Commenting on the National Casting, Vasanth Kumar, Executive Director, Max said "With the launch of Elite Model Look India 2014, Max reinforces its positioning of democratizing fashion and giving the Indian models the exposure to establish themselves in the international fashion circuit." Speaking, in the occasion, Marc Robinson, Project Head of Max EML India 2014 said, "The fashion industry in India today is bereft of "Supermodels" that once had an iconic influence in the fashion scene in the 1990's, today they simply and sadly dont exist. With the introduction of a genuine initiative by the fashion brand like MAX and Elite Model Look, Paris, it will provide an opportunity to aspiring young male and female models". Nupur Tron, Licence owner of Elite Model Look in India said, "Elite is the only network of agencies operating in 74 countries that guarantees an authentic modeling career opportunity. The Elite Model Look has always been no.1 in scouting the world, attracting hundreds of thousands of entrants each year. I am very proud to bring EML to India and bring the best of India to a unique springboard and integrate the modeling universe". "Elite Model Look coming to India will bring in an urgent need of picking up the best model talent we need to showcase here in India around the world. Models are facing stiff competition with so many girls coming here from different countries as well. It is great to see a global wave happening here and to be part of this makes me feel even more proud" said designer Gaviin Miguel. Model Dipti Gujral said, "It is a great opportunity for young girls and boys to participate in Elite Model Look. Not only its presitgious, it puts you on a very good platform to model not only in India but internationally also. It goes without saying that grooming and becoming more refined and also exposed to the finest panel of people to guide you through the process". Max is the leading fashion brand offering customers a one stop shop for clothing, accessories and footwear needs for the entire family. Max, a division of Lifestyle International (P) Ltd., has pioneered the concept of 'value fashion' in the country, thereby offering the discerning shopper a vast choice with international fashion & quality. It offers apparel, footwear & accessories that are of the latest fashion trends at a great pice, making it affordable to many. The store ambience offers an internationla shopping experience making shopping for the entire family an absoloute delight. In India, Max has over 90 stores across 43 cities. The brand plans to have a network of 120 stores by the end of the financial year. Elite World is owned by Pacific Global Managment (PGM), which is a talent management company in the modelling and music industry, with a focus on luxury and live events. In addition, the Group owns Gold Typhoon, the independent China-based entertainment label, and La Perla, the premium Italian lingerie brand. Elite Model Management was founded in 1972, and is the world's largest model agency, representing over a thousand models across five continents.